Our goal is simple: Exceptional client experience through professional excellence. We have been exposed to a range of situations and know that every job and every situation is different. When there is more involved with a job than meets the eye, we will clearly explain to you what needs to be done, and why, and then advise you on the best solution for your situation. There’s no getting around it – plumbing and drain laying can sometimes be a dirty business. We know that the last thing you want when the tradesmen leave is a big mess in your property. Whether working inside or out, we always respect your property. You can be sure we’ll tidy up after ourselves and when working outside, will aim to complete the work with minimum disruption to your driveway, footpaths or gardens. All Plumbing and Gas Services are a fully insured and licensed business with over 12 years experience in plumbing and gas. Our commitment to a higher standard means that we will provide you with the highest quality maintenance and preventative requirements. We believe that professionalism is more than just doing a good job. We clean up after ourselves once the job is completed and pride ourselves on our friendly customer service. 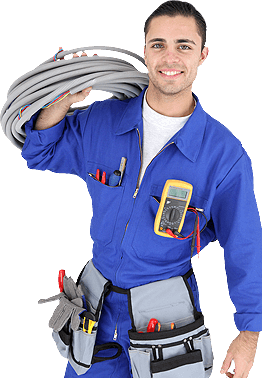 All Plumbing and Gas Services offer fast and affordable plumbing solutions on the Gold Coast. We are a family owned and operated full service plumbing company offering competitive prices for residential and commercial plumbing requirements. As a full member of the Master Plumbings Association QLD we comply with all their rules and regulations in respect to the way we undertake plumbing and gas fitting work.